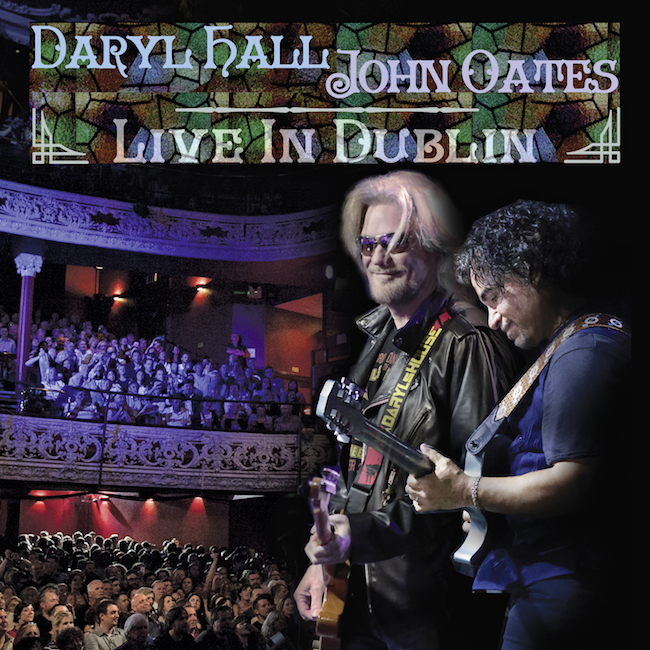 Eagle Vision and Universal Music Group‘s new DVD/2 CD package Hall and Oates: Live in Dublin chronicles the duo’s first gig in the titular city’s Olympia Theater. Played to a sold out house, it was a great show to document. Not only is the setting intimate and beautiful but the Dubliners are an effusive and collaborative audience, singing along from stem to stern, making for a really engaging viewing and listening experience. The 15 song set is a smart mix of crowd pleasers and more obscure material that spans the band’s history and puts a fresh spin on familiar hits. Fortunately Hall and Oates’ catalog is very malleable – ripe for rearrangement – meaning many of the kitschier studio embellishments found on the 80’s hits are eschewed for polished funky presentations that highlight the songs’ “evergreen” status. It also ensures that H&O don’t become a “cover band” of themselves. My bottom line benchmark for any purchase is the level of likelihood I’ll return to the piece after the initial watch. Hall and Oates: Live in Dublin has been a pleasure to repeat spin for the purposes of this review, and will continue to be top of the heap for replay for some time to come. If you’re only interested in the video content I suggest you grab the BluRay, although the standard DVD looks very good up-sampled on my Playstation 3. What’s missing? Well, I’m one of the oddballs who counts the Todd Rundgren produced War Babies album as a favorite, but I wouldn’t hold my breath waiting for “Beanie G and the Rose Tattoo” to show up in a set list any time soon. That is unless some hipster record bin crawlers decide War Babies is H&O’s great lost Pet Sounds. Hmm… sounds like a Twitter crusade in the making. See hashtag above.